The Boston Red Sox visit Progressive Field on Monday, August 21, 2017 to play the Cleveland Indians. The probable starters are Doug Fister for the Red Sox and Mike Clevinger for the Indians. The opening line for this matchup has Boston at +171 and Cleveland at -181. The Red Sox have a 54-63-5 over/under record and a 63-59-0 run line mark. The Indians are 55-66-0 against the run line and have a 44-68-9 over/under record. The Red Sox have a 70-52 overall record this season. Starting pitcher Doug Fister has a 2-6 record with an earned run average of 5.56 and a WHIP of 1.65. He has 38 strikeouts over his 43.2 innings pitched and he's given up 49 hits. He allows 10.1 hits per 9 innings and he has a FIP of 4.9. The bullpen has an earned run average of 3.09 and they have given up 316 base hits on the year. Teams are hitting .225 against the bullpen and they've struck out 392 hitters and walked 130 batters. As a team, Boston allows 8.5 hits per nine innings while striking out 9.5 batters per nine innings. They are 4th in the league in team earned run average at 3.68. The Red Sox pitchers collectively have given up 1,044 base hits and 453 earned runs. They have allowed 143 home runs this season, ranking them 21st in the league. Boston as a pitching staff has walked 336 batters and struck out 1,164. They have walked 2.7 men per 9 innings while striking out 9.5 per 9. They have a team WHIP of 1.25 and their FIP as a unit is 3.73. As a team Boston is hitting .263, good for 6th in the league. The Red Sox hold a .412 team slugging percentage and an on-base percentage of .334, which is good for 8th in baseball. They rank 5th in MLB with 9.1 hits per game. Xander Bogaerts is hitting .277 with an on-base percentage of .334. He has 120 hits this season in 433 at bats with 45 runs batted in. He has a slugging percentage of .402 and an OPS+ of 92. Mookie Betts is hitting .267 this year and he has an on-base percentage of .341. He has totaled 130 hits and he has driven in 76 men in 486 at bats. His OPS+ is 105 while his slugging percentage is at .451. The Red Sox have 1,115 hits, including 221 doubles and 128 home runs. Boston has walked 431 times so far this season and they have struck out 897 times as a unit. They have left 859 men on base and have a team OPS of .746. They score 4.84 runs per contest and have scored a total of 590 runs this year. Cleveland has a 68-53 overall mark this year. With an earned run average of 3.75, Mike Clevinger has a 6-5 record and a 1.31 WHIP. He has 95 strikeouts over the 84 innings he's pitched. He's also given up 66 hits. He allows 7.1 hits per nine innings and his FIP stands at 4.22. The bullpen has an earned run average of 2.93 and they have given up 312 base hits on the year. Teams are hitting .226 against the Indians bullpen. Their relievers have struck out 417 batters and walked 120 opposing hitters. As a team, Cleveland allows 8 hits per nine innings while striking out 10.2 batters per nine innings. They are 2nd in the league in team earned run average at 3.57. The Indians pitchers as a team have surrendered 957 base knocks and 426 earned runs this season. They have given up 131 home runs this year, which ranks 28th in Major League Baseball. Cleveland as a staff has walked 328 hitters and struck out 1,218 batters. They give up a walk 2.8 times per 9 innings while they strike out 10.2 per 9. Their team WHIP is 1.20 while their FIP as a staff is 3.47. As a team, they are batting .259, good for 12th in the league. The Indians hold a .436 team slugging percentage and an on-base percentage of .335, which is good for 7th in baseball. They rank 13th in MLB with 8.8 hits per contest. Edwin Encarnacion comes into this matchup batting .252 with an OBP of .371. He has 107 hits this year along with 72 RBI in 425 AB's. He maintains a slugging percentage of .489 with an OPS+ of 121. Francisco Lindor is hitting .262 this season and he has an OBP of .319. He has collected 129 hits in 492 at bats while driving in 56 runs. He has an OPS+ of 98 and a slugging percentage of .453. 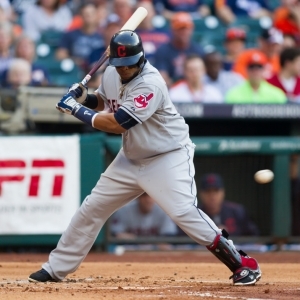 The Indians as a unit have 1,064 base hits, including 247 doubles and 148 homers. Cleveland has walked 452 times this year and they have struck out on 881 occasions. They have had 858 men left on base and have an OPS of .771. They have scored 4.88 runs per game and totaled 590 runs this season.